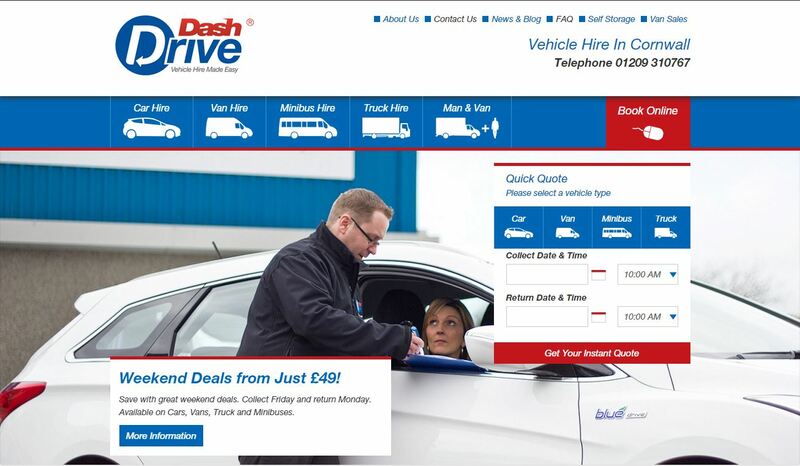 We are very proud to unveil the new improved Dash Drive website! After carefully considering customer feedback, we have made it quicker and easier for you to find the exact hire vehicle you require and view an instant quote. The online booking system has also had a refresh, and we hope you will find the process even more streamlined than before. You can now easily request quotes and book your ‘Man & Van’ requirements all online. Great for those times you need an extra pair of hands! Any feedback regarding the new website would be gratefully received so we can keep making sure the website provides the very best user experience possible.